Among the many services we provide at Lancaster Childrens Dental, cavity treatment and prevention is probably the most common. Protecting baby teeth from cavities and filling them when they do occur is as important with baby teeth as it is with permanent teeth. The key to preventing cavities is to help your child develop good oral hygiene habits from an early age. Taking a moment to wipe your infant’s gums after feedings and then using a soft toothbrush after his or her teeth come in will prevent the build-up of bacteria. After your child’s 1st birthday, we recommend the use of fluoride toothpaste. Once several baby teeth are in, brushing twice a day is needed to keep your child’s teeth clean and cavity-free. However, if your child eats a diet heavy in sugars – cookies, candy, fruit juices and soda – brushing after meals may be needed. We recommend a checkup every 6 months for cavity prevention and treatment. At these appointments, we will check your child’s teeth for signs of early decay and discuss any dietary or nutritional concerns you have. Our team will pay special attention to the molars, which are the teeth where cavities form most often in children. Our goal at Lancaster Childrens Dental is to help kids of all ages get – and stay – on a path that results in a lifetime of excellent dental health. That means caring for children’s dental needs beginning the debut of their very first tooth, but there’s never a wrong age to introduce your child to dental care. Our services include comprehensive dental care for children, young adults and special needs patients of any age. If your child experiences a dental emergency outside our regular business hours, please call us at (661) 945-0701 and our after-hours care team will call you back as soon as possible. If left untreated, decay in baby teeth can affect the overall health of the child and impact the adult tooth. If baby teeth fall out too early, the spacing of the adult teeth will be affected and may require more intensive orthodontic treatment and even surgery. The American Academy of Pediatric Dentistry has developed guidelines that promote well-balanced, nutrient-rich diets specially designed to decrease the risk of tooth decay for infants, children, adolescents and people with special health care needs. Our team uses these guidelines to help our patient families decrease their risk. You can download the guidelines at the American Academy of Pediatric Dentistry’s website. Using fluoride (in small amounts) on a regular basis can help prevent tooth decay. Our office offers in-office, professional strength fluoride application and we recommend using a fluoride toothpaste at home. Fluoride helps prevent mineral loss from tooth enamel and helps strengthen areas that are weakened and at risk of developing cavities. Fluoride also helps reduce acid attacks that break down the tooth. Sometimes it is necessary to create or maintain proper spacing to make room for the permanent teeth to come in correctly. We use a variety of appliances to maintain the correct position of the teeth as your child continues to grow. Dental sealants are applied to children’s molars to protect against tooth decay. They have been shown to be effective in preventing about 80 percent of decay commonly found in molars. Sealants work by shielding the grooves and pits in your child’s teeth from plaque, which can lead to tooth decay. When compared to the cost of treating cavities, sealants are a cost-effective prevention option. At Lancaster Childrens Dental, Our team will work with you to help prevent cavities in your child’s teeth. If your child develops cavities, we will treat them safely, with the most-effective, least traumatic way possible. Lancaster Childrens Dental uses digital X-ray technology, which provides instant images and reduces exposure to radiation. Images are instantly available for viewing on a computer screen for patients and parents to see and for our doctors to use in diagnosis and treatment. Tooth removal sometimes is recommended in badly decayed teeth, cases of severe crowding, or in instances when baby teeth have failed to fall out on their own. 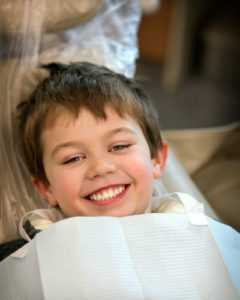 Some children with a high level of anxiety can benefit from sedation dentistry. There are several levels and approaches available whether we’re using it to deal with dental anxiety or a procedure that requires sedation. 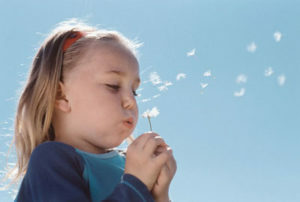 Nitrous Oxide – also known as laughing gas, nitrous oxide often is used on fearful children undergoing dental treatment. The gas makes the patient feel less anxious and also has some anesthetic properties. Oral Sedation – also referred to as “conscious sedation” is performed by administering a mild sedative that relaxes the patient, but leaves them in a state in which they can be awake for the procedure. It is commonly used during extensive dental procedures, or to enable children to be compliant while undergoing dental treatment. Children under oral sedation remain awake throughout the procedure. Prior to administering oral sedation, we will conduct a thorough examination and medical history and educate you about the process. We also provide you with preoperative and postoperative instructions. General Anesthetic – in isolated cases, it is best to complete extensive dental treatment under general anesthesia. When this is required for our patients, we perform these dental procedures in a hospital setting or in an in-office setting with an anesthesiologist. The American Academy of Pediatric Dentistry (AAPD) recognizes that providing both primary and comprehensive preventive and therapeutic oral health care to individuals with special health care needs is an integral part of the specialty of pediatric dentistry. Lancaster Children’s Dental values the unique qualities of each person and the need to ensure maximal health attainment for all, regardless of developmental disability or other special health care needs.